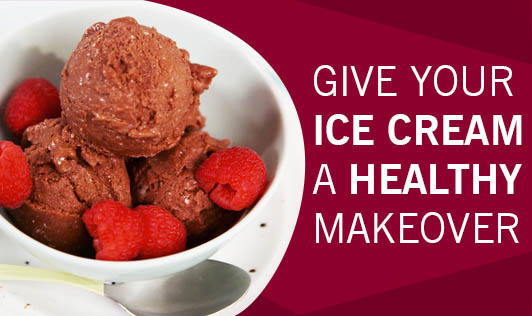 Ice cream, though high in calories can be relished on by choosing healthy and less processed ingredients. Use fresh fruits, dried fruits and nuts to add quality to your ice cream. By doing so, the demand for sugar in the recipe is less and you can develop a tasty low calorie product. Here is one such simple and healthy ice cream recipe for you. Pit and scoop out avocados. Peel banana skin. Put all the ingredients except the chocolate chips into a high powered blender. Blend until smooth and make sure it is well blended. Add in chocolate chips and stir it carefully. Set the bowl in a freezer. Stir every 30 minutes until deserved texture is achieved. It takes about 2 ½ hours with stirring every 30 minutes.